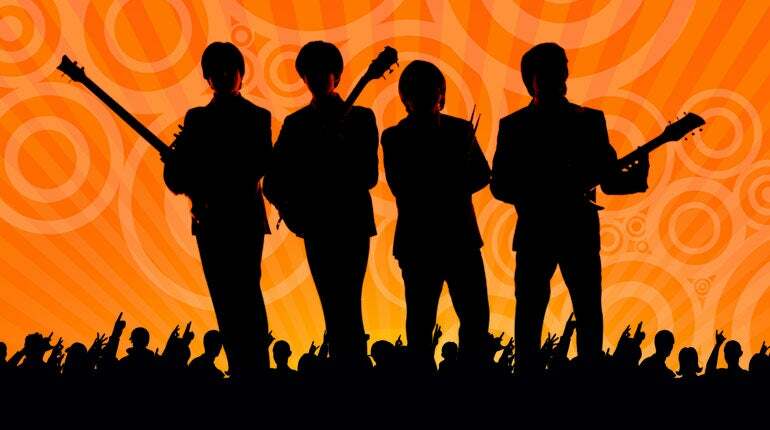 THE FAB FOUR - THE ULTIMATE TRIBUTE to the Beatles is scheduled to perform live at City National Grove of Anaheim on Friday, April 12. THE FAB FOUR is elevated far above every other Beatles Tribute due to their precise attention to detail. With uncanny, note-for-note live renditions of Beatles' songs, THE FAB FOUR will make you think you are watching the real thing. The show includes record-perfect live performances of such classics as "Can't Buy Me Love," "Yesterday," A Day In The Life," "Twist and Shout," "Here Comes The Sun" and "Hey Jude."